Executive Vice President and General Manager Ray Shero announced that the club has signed defenseman Alex Goligoski. 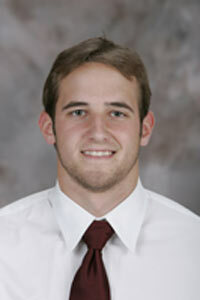 Goligoski, 21, skated the past three seasons at the University of Minnesota. He tallied 98 points (25+73) in 117 games played. This past season, he earned First Team All-American honors by RBK and United States College Hockey Online (USCHO). He ranked tied for third on his team in scoring with 39 points (9+30) and led the team in assists while competing in all 44 games for Minnesota. Goligoski also tied for the team lead with a plus-24 rating. He was named the WCHA Defensive Player of the Year and was an All-WCHA First Team selection. His accomplishments during the season also earned him Most Valuable Player honors as selected by his teammates. The 6-0, 187-pound native of Grand Rapids, Minnesota played all 41 games during his sophomore season in 2005-06. He tied for third on the team in scoring with 39 points (11+28) on his way to being named All-WCHA Second Team and honorable mention All-American by USCHO. In his freshman season in 2004-05, Goligoski was selected to the All-WCHA Rookie Team and competed for Team USA at the World Junior Championship. Goligoski was originally selected by the Penguins in the second round (61st overall) in the 2004 NHL Entry Draft.